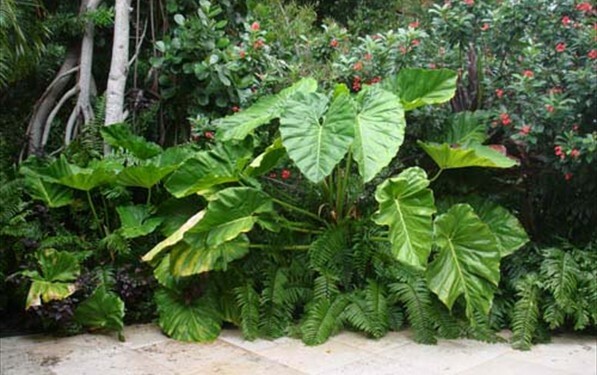 No matter how confident you are with overwintering tender plants outside, it really isn't worth trying out your skills on Colocasia as they will almost almost pick up some kind of rot on the leaves which will eventually reach down to the roots. Therefore your best chance to have Colocasia in your garden year on year is to lift the roots. First you will need to dig up your plants which you can do before or just after the first frosts. Of course if they have been sunk into the ground while still growing in a suitable pot then all you do is lift the pot. 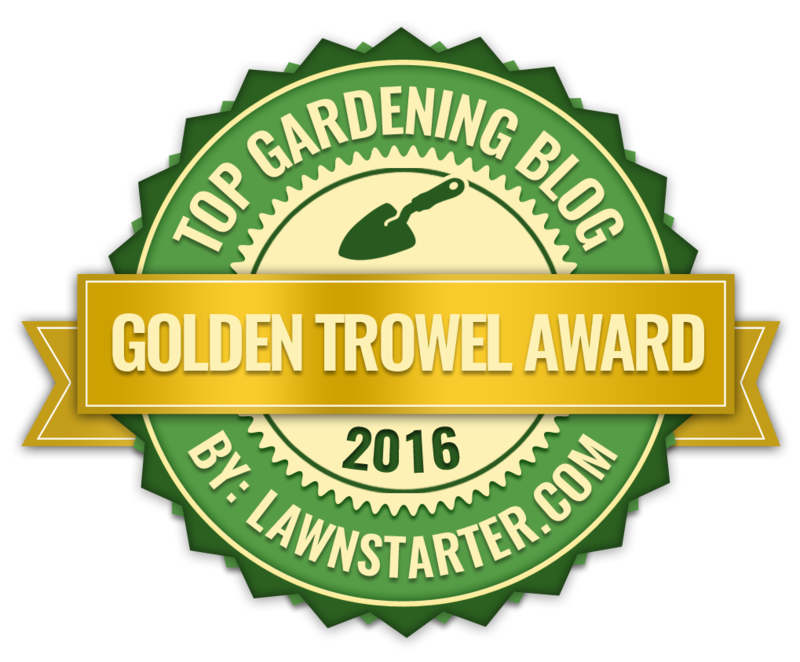 Lifting before the frosts is the best idea as this will give you a bit more stem to get hold of, making the whole process easier. Also, prior to frosts, the soil is often dryer and this makes it easier to shake off from the plant. By trimming the roots it is clear to see the new tubers formed at the base of the stem. These can be simply snapped off by hand. 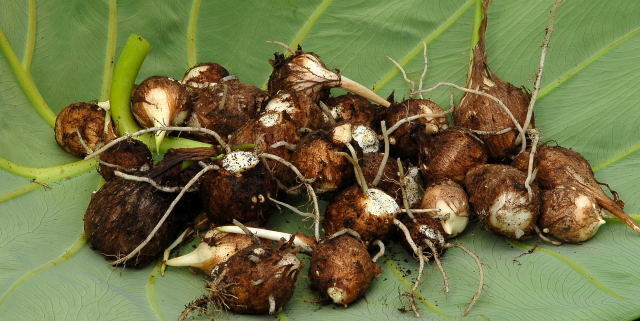 Spread the harvested Colocasia on a surface somewhere warm to dry them out. A number of them may go soft and will need to be discarded. The majority should stay firm and can be stored in bone dry compost until the spring. Keep them cool so they do not begin sprouting immediately.